I happened to be at an interesting debate today organized by a scientific think-tank that dabbles in psychiatry and neurology, mostly new-age research on the power of the human brain. Pretty hi-tech deep science stuff but something that has always interested me. And if you are a fan of Discovery or National Geographic, easy enough to understand. The debate’s topic was what had taken me there. 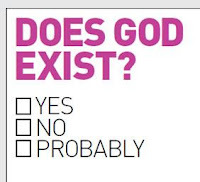 It was about God or rather if God Exists? this was the million dollar question that was being debated. Stretching to more than 3 hours from 90 minutes the invite originally promised, it was time very well spent. Is there a supernatural being watching over us? An omnipotent force, all powerful in command reigning over the universe or is it just an imaginative invention created by the human brain as part of our evolution. Or is God the manifestation of society’s needs to set and maintain social order – a mental redline to preserve morals and ethics as humanity evolved. With members of the Christian and Islamic clergy besides Hindu priests & Buddhist monks on one side and atheists and the scientific community on the opposite side, it was indeed an incendiary mix for a humid hot afternoon. I won’t take sides here cos I am a believer (who periodically suffers from a loss of faith only to be brought back on line by some divine intervention that’s indeed truly divine). By definition, spiritual experiences are of a personal nature. A person's search for, explanation of, or relationship with God is a very private thing. It doesn't affect everybody in the same way. There is no archetypical measure by which you can say 'I just made contact and that was my spiritual experience number 8 on the spiritual Richter scale’ just because I went to the church today or I survived a car crash or I hit jackpot in the tele lottery. And with all due respects, the Bible, the Quran, the Torah, the Bhagwad Gita or the hundred other holy books can never be proof of God’s existence. In fact, these gospels have been in decline as a source of truth in the minds of average people for some time now. And not because there is no truth in them but because humanity has discredited their sanctity and undermined their real essence. And the blame for this is not on science as you might think, but on the major religions itself and its wrong practitioners. They have undermined Gods truth with misinformation, and buy using it in a manner that it was not intended for. It is the same principle that the Govt uses in discrediting any particular story that they do not want told. They encourage all sorts of misinformation to be put out, by anyone, even the nut cases, so that when people hear it, they will close their mind to it. And you only have to turn on your TV to see all sorts of misinformation. The most common phrase used by TV preachers is that “The Bible says or the Quran says ..And then they proceed to tell you that it says …if you send in your seed money, God will bless you with all the money you can spend. And at the other end of the spectrum, an other will tell you that in order to go to heaven; you must walk on fire, kill an infidel or drink poison to prove your faith. All that these preachers and teachers on TV really yell for is their love of the almighty MONEY. Needless to say, all of this dilutes the truth of these holy books and makes it harder for people with open minds to ever take them seriously. And because of this, I never tell anyone that they prove anything, but only relate my personal experiences in a way that I feel are accurate to describe God’s presence. I have to admit though that this proof is personal and can never be transferred to others. I could relate how that proof came to me and describe it perfectly, but they could never give it the same weight as if it had happened to them. What matters is that each of us have a certain level of understanding based upon our ability to think and our willingness to believe. For many, Gods proof depends a lot on how much we ask from him, on how much he gives or rather how "satisfied" we are with the worldly rewards we get. For example, if I pray for a promotion or a big house or a fancy car and I get it, I am a happy believer but if I keep praying and he does not seem to fulfill my shopping list, I get disappointed. This frustration soon turns into disillusionment and I either turn into a non-believer or jump from one religion to an other hoping the other god would hear my prayers. What we fail to understand is that God speaks to us in many tongues, through many men, and at different times. He speaks to us through the sun and the stars and the birds and the animals…through our five blessed senses, through our love for one another. He spoke through Jesus, through Moses, through the prophet Mohammed considered the greatest Man ever born on earth and through countless other prophets and myriad other great men the world has seen. You need to connect at a deeper, spiritual level to understand God's language and you don’t need to be a die-hard believer to do that. Unfortunately, what we have left of God's love now is all gone, substituted by adulterated religious nonsense that has been further subject to the corruptions of man's ignorance, greed and avarice and love of power and worship of self. You cannot see God, hear God, touch, smell or feel him to realize his existence. To believe in God, you need to have faith. After all, with so much bloodshed and sadness all around, its time to have some faith or perhaps like the Bon Jovi, its time to ‘Keep the Faith’ alive! Godspeed. bloodshed and sadness is what makes you question the existence of God...He blesses the rich and the criminals with money and favours...and he sends floods to wipe out the poor...so is it that he only helps his kind as he relaxes on his golden bed surrounded by beautiful ladies and tasty prasad?...nothing makes sense any more!! spirituality is to do with the brain...just like most epileptics see God often, a man with those areas in his brain more active, by virtue of heredity or mutation, experiences God. What about the millions of others?...well, they believe coz they are fearful of the consequences of not believing...and sheep go where the leader goes! thanks Nalini.. and I do read your blog often..just dont leave my traces. i wish i could write poetry like you..some of them are really good. hmm..i also believe in God..our prof once made a debate for us to justify whether God exists or not..and we have come up with "he exist"
people believe and said 'God is perfect' and also..there's a popular saying that nobody's perfect" right..? but how can someone describe 'something' that doesn't 'exist' at all..? We dont pray to God whenever we drink water/brush our teeth etc because we know very well that we can do that acts 100% with our capabilities and the role of external factors is almost null(except few anomalies, rare cases and exceptions). When our dear ones are in hospital, we immediately invoke god as the happenings are dependent on many external factors and hence we need a psychological back up. Things are beyond one's capacity here.